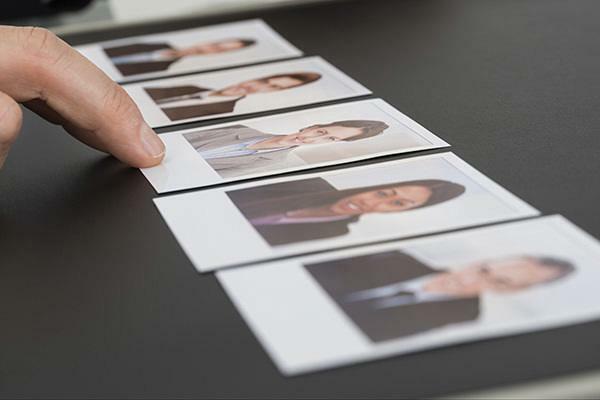 Why is it so hard to recruit good candidates? Despite the economic uncertainty, some notable business failures in the industry and the vast increase in candidate registrations on CV database websites, many organizations find it difficult to attract and recruit good candidates. This is nothing new. Companies have always had to compete for the best, but there was a time, when I started as a recruiter, that a display advert in the national, local or trade press would provide a solid field of good candidates for most vacancies. Now however, despite the plethora of choices for online advertising and the increasing “connectedness” of our LinkedIn world, creating a strong shortlist for many roles can be a challenge. A lot of talented employees aren’t actively looking for a new role: they’re busy, keeping their head down and, more than likely, being well looked after by their current employer. They have to be confident that any new opportunity is not too big a risk. 1: Your employer brand – you don’t have to be a household name business to attract top talent. Great candidates join start-ups and small, unknown companies, attracted by the opportunity presented to them, the flexible working environment, benefits, or the reputation the business has for looking after and developing people. Big or small, what’s your brand and reputation as an employer? There are some big brands that have poor reputations as employers or are considered to have cultures that put candidates off. Big or small, what’s your brand and reputation as an employer? 2: Your recruitment process – your advertising, job description, application process and correspondence with candidates should be compelling, informative and user-friendly. Unless the role is one that will attract high numbers of candidates, don’t create processes that mark it hard for people to apply and filters that weed out people too quickly. Is your website, jobs page and application process optimised for mobile? With many busy candidates looking at jobs from their phone, you need to make it easy for them to apply – few have CVs readily available on their phone. 3. Your job marketing/search activity – most successful candidates for our projects come from word of mouth, targeted advertising campaigns or direct approaches to them. They don’t come from job boards or CV databases. Many of the most interesting people we engage with are not “actively” looking and so not on the radar of other recruiters and employers. Social media has its place, but is not the Holy Grail for recruitment: there are lots of very talented people who are not on LinkedIn! Think hard about where your best candidates might be and how to reach out to them. 4. Your salary level – while money isn’t everything, an average salary is unlikely to attract star performers. Research the market and consider how you can persuade good people to make the move. Paying the “going rate” for the job will generally only attract people who are a step or two below the level you’re looking to hire at. That’s fine if you want someone who is stepping up to your role, but not helpful if you need a proven quantity at that level. If you can’t compete on salary, look for other ways to make the job attractive to someone who might move sideways e.g. flexible benefits, a performance bonus, extra holidays and working from home. 5. Interviewing skills – I’ve seen many good candidates lose interest after a badly conducted interview by the employer. Good recruitment interviewing is a skill that takes time, and experience, to do well. The balance of power has shifted in interviews – candidates are often far more prepared (and usually far more rehearsed) for the meeting than the interviewer. Poor questioning skills, even worse listening skills and little understanding of the job and its requirements are common errors among company interviewers. Badly conducted interviews don’t just put off really good candidates, they also result in bad hiring decisions, where the wrong applicant is appointed. Make sure your interviewers are trained, prepared and able to sell your opportunity to candidates. If you offer challenging, rewarding jobs and get these basics right you have a good chance of attracting top quality talent to keep you ahead of the game.